The Arts Council Collection is a rich resource for teaching, learning and engagement. Through our dedicated programmes at Longside Gallery and our touring exhibitions we strive to encourage people of all ages and backgrounds to engage with the Collection through family activities, workshops, teachers’ study days, talks, tours, seminars and special projects. Our reach is both local and national. Educational resources are developed in collaboration with learning professionals to ensure they are useful and accessible. We support younger generations through a range of national engagement programmes including working in partnership with the National Saturday Club, founded by the Sorrel Foundation. Through our National Partner venues we work with harder-to-reach audiences and have supported innovative ways to bring the Collection to audiences who are unable to visit exhibitions. Visual art has long been a source of inspiration for poetry and poetry for visual art. Explore a series of poetry commissions produced in response to Collection artworks and exhibitions. As part of Art UK’s latest take on the Masterpieces in Schools initiative, the Arts Council Collection loaned Phillip King’s Point X to Pinders Primary School in Wakefield. The ACC were the first collection in the project to loan a sculpture for the day. Dr Rowan Bailey from University of Huddersfield reports on an exciting new collaborative project developed alongside ACC Touring Exhibition, In My Shoes, aimed at developing new ways of thinking about audience experience and engagement. 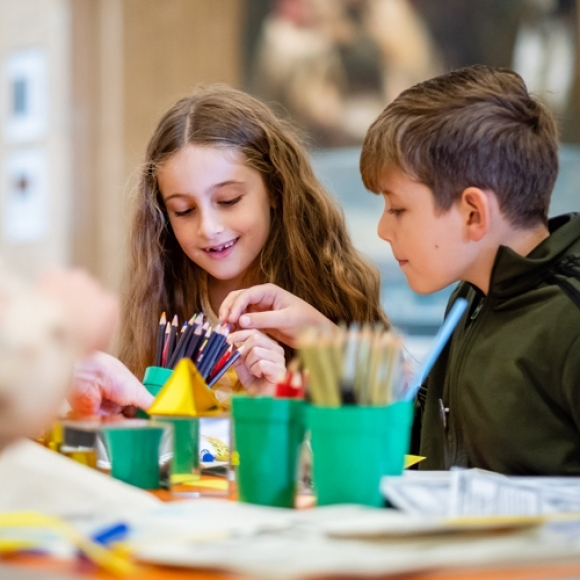 Programmed as ACC’s National Partners Programme, Yorkshire Sculpture Park’s All Aboard programme introduces local families to works from the Collection, through supported visits and a range of family-friendly activities. An educational resource to accompany the first Arts Council Collection survey of 1960s British art in over twenty years, written by teachers to inspire ideas and ways of working with the exhibition. Our Longside Gallery at Yorkshire Sculpture Park is used for a range of educational and outreach activities, including regular study days exploring specific themes and holdings. The Arts Council Collection organises six events for UK-based curators each year, offering an informal forum for networking, learning and sharing. Learn more about some of the artists in the Collection in our series of monthly artist profiles featuring contributions from Collection staff and Curators.